I don’t see too many vendors in the city I’m getting married in. Should I still post my requests? Absolutely! We’re still growing and have talented wedding vendors joining every day! Oftentimes, once a couple submits a bid request, vendors will join WedBrilliant specifically to bid on your needs! Where do I find the bids I’ve received from vendors? If you’re a couple who has posted bid requests for vendors to bid on, log into your Couple Profile Dashboard page and you’ll see all your open bid requests with current bids! Why haven’t I received bids on my bid request? As we grow and expand, wedding vendors are joining WedBrilliant everyday, so it may take a little longer for you to receive wedding bids. But, we’ll help spread the word about your needs and get new vendors to join and bid! If you have enough time before you need to make these crucial wedding decisions, please repost your wedding need on WedBrilliant again, or extend the duration of the bid request! And, thanks for being patient as we grow! When I get bids, can I just go off WedBrilliant & find the vendors on Facebook to work with them that way? By agreeing to our Terms & Conditions, you agree that when you post a bid request on WedBrilliant, and get a bid/bidder you like, you will work through WedBrilliant with that vendor. It’s always going to be free for couples to do so, so there’s no downside. Selecting a bid/bidder and working through WedBrilliant allows all of our vendors a fair chance to compete for your wedding needs, and it’s what makes WedBrilliant so unique and successful! How do I close my WedBrilliant account? If you have finished planning your wedding, or just don’t have a need for your WedBrilliant account anymore, just contact us and we will close your account and delete all information connected with it. What if I cover multiple states or can provide my service to couples anywhere… do I need multiple profiles? Good news: no! You can just create one profile and list the city and state where you are based out of, and then just keep an eye out on bid requests in the other areas of the country that you serve! Also, if you have subscribed to receive our newsletters, we’ll send out periodic updates with open bid requests around the country! How do I get reviews on my vendor profile page? As you begin to work with clients you have retained through WedBrilliant, encourage them to review your services on the site. Prior to that, email us with reviews you would like added, and we will add up to 3 until they are replaced by new ones. Can I check out Bid Requests without paying my membership fee? Once you have created your profile, you can! Feel free to browse and see if there are any requests that interest you. If you find one you would like to bid on, join WedBrilliant as a paid member and you’ll be able to submit a bid! I don’t want to keep getting billed, what can I do? If you joined as a member, submitted a bid on a wedding request and now don’t want to keep paying the monthly membership fee, you can put a temporarily hold by suspending your account. Visit the My Membership page to temporarily suspend it. You’ll still get alerts if new requests pop up in your area, so you can always reactivate your account at a later date. How much do vendors typically bid? While it varies, vendors will often bid at or under a bid request budget. However, there are also cases where a couple doesn’t have a good idea of what the goods or services cost and so vendors will bid more than the budget. Tip: It often comes down to the information that vendors provide about what they will be doing and providing to make the couple’s day great, so make sure your bid is detailed and thorough! The couple’s budget in their request seems too low! Should I still bid? Yes! Submit a bid for what you would charge. Sometimes couples aren’t familiar with going rates, and seeing your bid may help them reevaluate. When I submit a bid, can I just encourage the couples to go off WedBrilliant & work with me that way? By agreeing to our Terms & Conditions, you agree that when you submit a bid on WedBrilliant, you will work through WedBrilliant with that couple. We’re a service provider connecting you with potential clients and this is what makes WedBrilliant so unique and successful! The membership fee that you pay us supports our operations and allows us to continue providing our valuable services to you and engaged couples around the nation, and helps us grow so more couples are posting bid requests every day. Why aren’t there any bid requests in my area? As we grow and expand, couples planning their weddings are joining WedBrilliant everyday, so it may take a little longer for you to see bid requests in your area. We recommend checking back every couple of weeks to see if new bid requests have popped up… and thanks for being patient as we grow! Do the couples pay me through WedBrilliant? No. 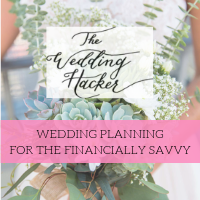 Since our wedding vendors have different payment preferences (some want a percentage upfront, some get paid at the end of their work…), we leave the payment arrangements with the couples up to them. We recommend that once vendors get the contact information for their newest clients, that they send an introductory email and arrange for a time to talk or meet, and also explain their payment preferences. Lastly, WedBrilliant is a venue only and our service is to connect couples and vendors, and the agreement to perform the services is between the vendor and couple only. WedBrilliant is a membership site. What does this mean for me? We’ve listened to what our wedding pros have told us and we’ve made WedBrilliant a membership site! Monthly memberships are just $5 per month, or there’s a discounted annual membership option for $50 per year. What does this get you? You can bid on as many bid requests as appeal to you. You can continue to maintain your WedBrilliant profile and use it as a way to market your business. Also, we will be doing a major communications outreach effort to let engaged couples know about us. Our goal is that every newly engaged couple in the nation comes to WedBrilliant to post their requests! That means lots more opportunities for new clients for you! If you don’t have a need for your WedBrilliant account anymore, contact us and we will close your account and delete all information associated with it.